Many buildings in Europe and Colonial America that were built from limestone or brick remain as beautiful and elegant as when they were first constructed centuries ago. Choosing between modern limestone veneers and brick as the cladding for today’s homes and buildings is a matter of taste and cost. Both materials are long-lasting and beautiful and available in a wide range of shades. Limestone results from the amalgamation of shells, sand and mud originally resting at the bottom of oceans and lakes. Over millennia, the material solidified into rock which is now mined for various purposes. Limestone veneer from PetraSlate Tile & Stone is solid rock that is cut into thinner sheets for easier handling and application. Limestone tends to be light in color ranging from almost white to shades of gray with natural veins or line patterns ingrained throughout the material. Brick is a formed product made from materials like clay or shale, mixed with water, and then baked. Colors of brick will depend on the material used, though shades tend to range from red to some shades of yellow and brown. Raw material and labor costs vary from year to year and from one geographic location to another. 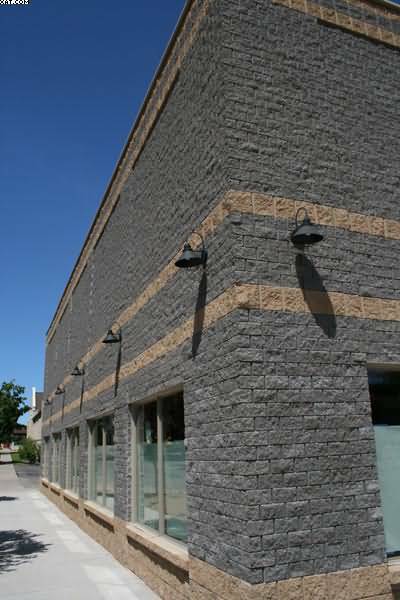 Currently, one source, homewyse, estimates that the cost of installing quality brick veneer to a building wall and other including materials and labor will average about $17.05 per square foot. According to the same source, the estimated cost of installing high quality limestone veneer may range between $17.00 and $22.00 per square foot. Keeping in mind that the decision to select one material over the other, recognize that this siding will likely be with you as long as you own the home or building. The choice, then, becomes more of a matter of taste preference and vision than one of cost. In either case, make sure that the products are of the highest quality and the installers are proven and experienced in this type of work. For supreme elegance, limestone veneers from PetraSlate project the ultimate in style and grace. A cladding for some of the world’s most important and stately buildings, limestone is a durable and economical choice. Visit the PertaSlate website to view their many offerings or call 303.280.9595.